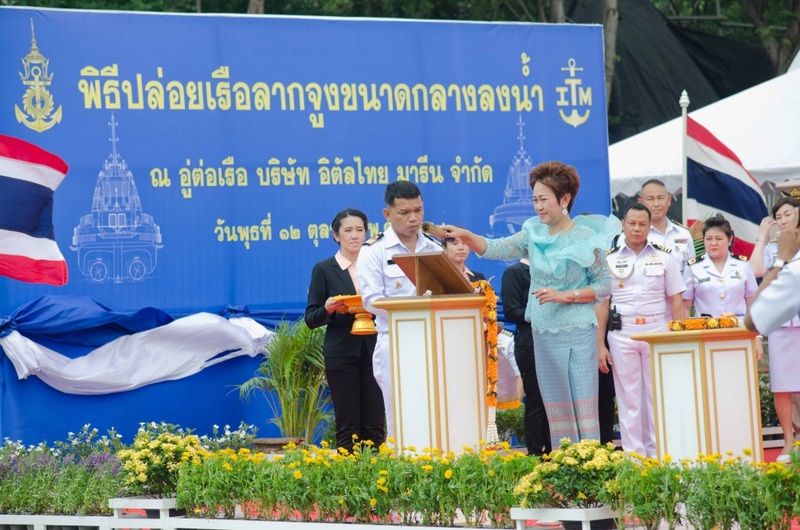 EA Mechanics Co., Ltd. was invited to Ceremonial Ship Launching Royal Thai Navy Medium Tug Boat “Panyi”, which we received the great honor from Adm. Na Arreenich, Commander in Chief of the Royal Thai Navy together with Mrs. Pranee Areenich who has christened the ship on October 12th, 2016 at Ital Thai Marine’s shipyard, Taibarn Road, Tambon Taibarn, Ampor Samutprakarn, Samutprakarn. Ceremonial Ship Launching is boat celebration of being transferred from land to water for the first time and also making religious ceremony. It is an important naval tradition that’s a way of blessing the ship and crew in an attempt to bring good fortune on its voyages. 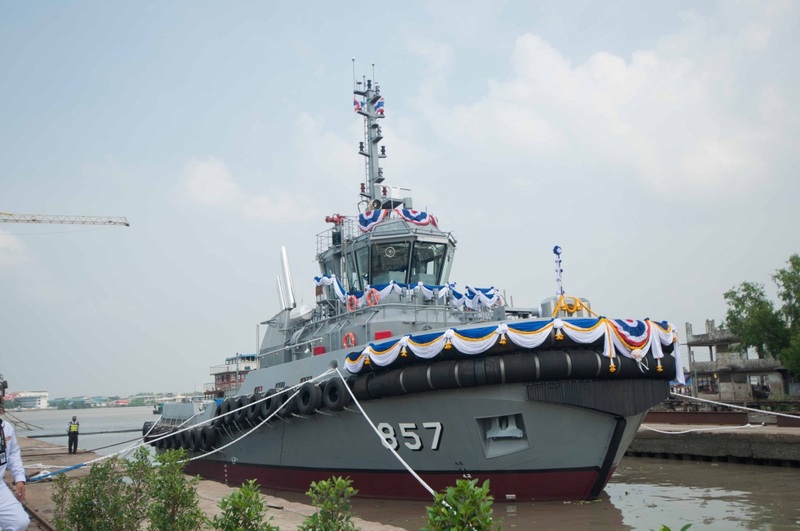 Ital Thai Marine Co., Ltd. has trusted by choosing 2 main engines and 1 drive fire-fighting pump engine from EA Machanics Co., Ltd.
– Maximum Continuous rating 12 knots. – Length Overall 32 meters. – Breadth Moulded 12.40 meters. – Beam Moulded 5.40 meters. – Maximum full load 4.31 meters. 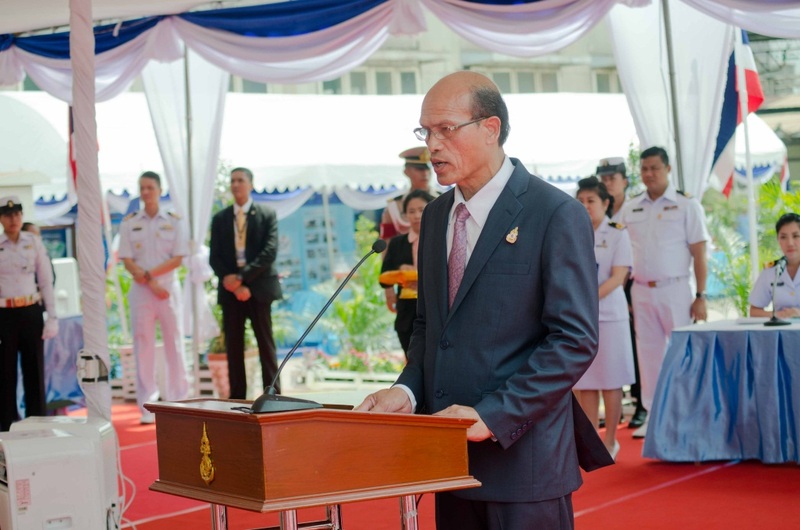 Mr.Wirat Chanasit, Managing Director of Ital Thai Marine Co., Ltd. welcoming the guest of honor at the event. 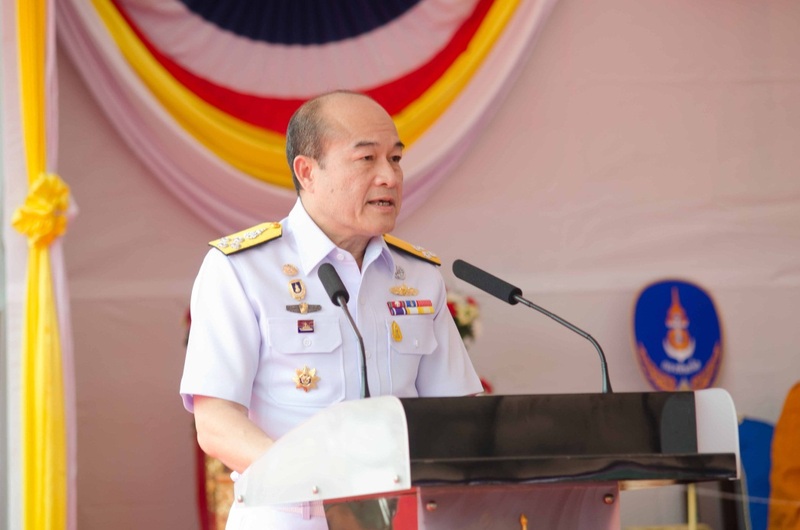 Adm. Na Arreenich as Commander in Chief of the Royal Thai Navy, President’s in honor of the ceremony.